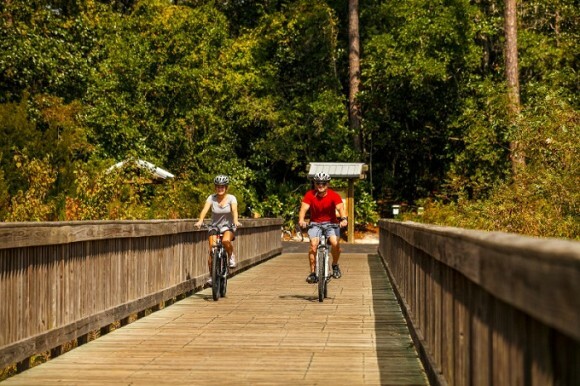 Gulf State Park’s Hugh S. Branyon Back Country Trail Complex consists of 15 trails among six distinct ecosystems that make up more than 27 miles of paved, winding scenic paths perfect for hiking and biking. It connects both of the cities of Gulf Shores and Orange Beach. Prepare to gasp in amazement when you spot an alligator basking in the sun in a freshwater marsh or spy a white-tailed deer on Gulf Oak Ridge among the park’s 6,000 acres of pristine coastline and wildlife refuge.